The tiny islands of Maldives are always known to possess incredible willpower and courage in advocating to protect what belongs to them and what they believe in. The Maldives being recognized as one of the few 100% Islamic countries, has always been known to support its brotherly Islamic states in times of crisis and sorrow. The UN resolution declaring null & void any action to alter the status of the Holy City of Jerusalem was Co-Sponsored by the Maldives amid threats and pressure from numerous influential powers of the world support including the United States. Could this be a reason behind the Maldives encountering a tragic distortion in the political balance of the country? The Maldivian Supreme Court’s attempt at bringing what could be described as a “Constitutional coup” gave a jail free pass to the convicted oppositional leaders. This, in turn, has presented a unique opportunity for the opposition to regain control of the parliament which further fueled the opposition’s wish to impeach the speaker of parliament and hence the President of Maldives as well. The Maldives being recognized as one of the few 100% Islamic countries, has always been known to support its brotherly Islamic states in times of crisis and sorrow. This political chaos being created and the shift in the balance of the political situation in the Maldives displays inevitable signs of involvement of a higher authority as the Maldivian United Opposition alone most certainly does not have to name the capabilities needed for the orchestration and execution of such a large political scandal. Contemplating the current events, it is clearly visible that the opposition is being fueled, funded and endorsed by the United States and its closest allies into the treacherous doings which have forced the Maldives into a compromising situation. Evidence of the US involvement can be grasped by anyone who inspected the series of events that followed the top court’s ruling. High- level officials of the United States Government actively engaging in the oppositional twitter campaigns, criticizing the Maldivian government gave us the first signs. The Ambassador of the United States of America to Sri Lanka and the Maldives, Mr Atul Keshap deliberately prying into the internal affairs of the Maldives and backing a coup against the Government of the Maldives proves that the US indeed has intentions to bring down the Government of Maldives which will not bend the knee to United States’ anti-Islam strategies such as the resolution against Palestine. India being the united states’ closest allies in the region played a crucial role in the planning and execution of the whole stunt. Their policies on “Containing China” within this region encountered a major setback due to the Maldives-China FTA signed last December. This stimulated the “under the table” tactics that have brought the Maldives to the state it is in right now. It was first the spread of misinformation and exaggeration that India sought to aid in. The mass and mainstream media that are under the severe influence of the US smeared the Maldives as a nation lead by a dictator. 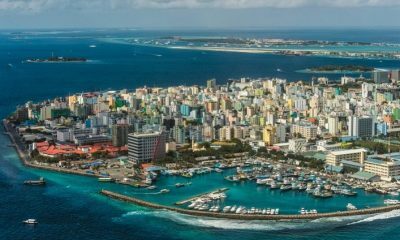 Aiming to create friction between the international community and Maldives, the Indian media has described the Maldives as the latest puppet state or a rogue regime under the influence of China. The Ambassador of the United States of America to Sri Lanka and the Maldives, Mr Atul Keshap deliberately prying into the internal affairs of the Maldives and backing a coup against the Government of the Maldives proves that the US indeed has intentions to bring down the Government of Maldives which will not bend the knee to United States’ anti-Islam strategies such as the resolution against Palestine. However, the President of Maldives, Abdulla Yameen Abdul Gayyoom is not one to give up. Keeping the nation free of outside influence and maturing the Maldivian economy to a self-sufficient state has always been top priorities of President Yameen and that is why the Maldivian Government will never bow down to these intrusions. President of Maldives Abdulla Yameen Abdul Gayyoom has now announced a state of Emergency in the Maldives under Article 253 of the Constitution of the Republic of Maldives, for the next 15 days today due to the current situation of Maldives. As per the Presidential Decree, the state of emergency was enforced in order to protect the peace and welfare of all citizens and the country, following the events that unfolded in relation to the Supreme Court Order No. 2018/SC-SJ/01, issued on 1 February 2018.